The 1908 New York to Paris Race was an automobile competition consisting of drivers attempting to travel from New York to Paris. This was a considerable challenge given the state of automobile technology and road infrastructure at the time. Only three of six contestants completed the course. 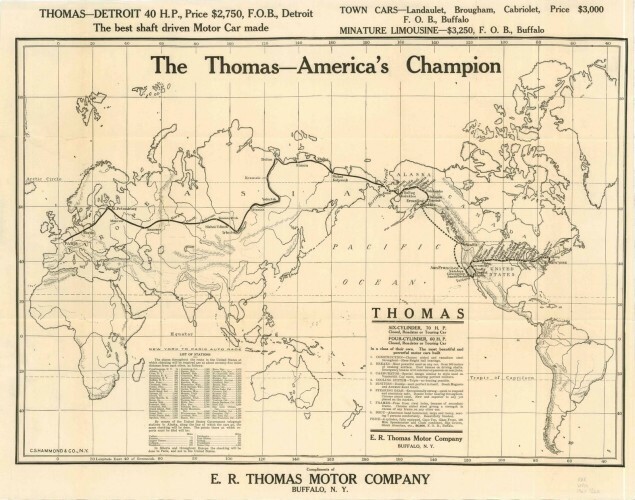 The winner was the American team, driving a 1907 Thomas Flyer.